"The emotional bond between our customers and their dogs made it clear to me that pet care is my passion," says Jennifer Jung. "Watching pit bulls play with poodles made me realize we have something unique here and I wanted to be part of something different." Jennifer, a 26-year-old Long Islander and volunteer EMT with the Massapequa fire department, and Candice, 25, joined forces with Hounds Town customer Maria Gillen, who saw a great business opportunity. Hounds Town – one of Long Island’s first fully interactive doggie daycares – was founded in 2001 by Michael S. Gould, former Commanding Officer of the Nassau County Police Canine Unit and a military veteran. Michael brings 35 years of commercial canine experience to the private pet care industry. “Our honest and straightforward approach to pet care is a refreshing experience in an industry that is inundated with many so-called professionals that are inexperienced at best, and exploitive at worst,” says Michael. 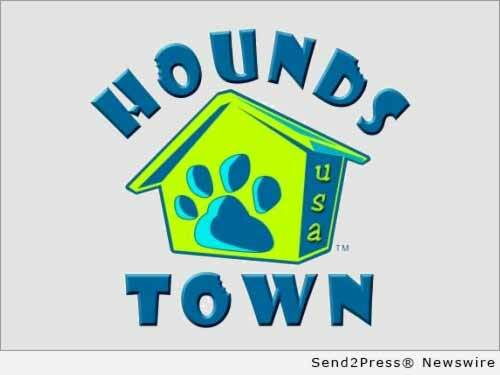 In addition to offering daycare, boarding, grooming, and training, Hounds Town also works with local shelters and rescue groups through its non-profit Hounds Town Charities to rehabilitate dogs deemed potentially dangerous and that are at risk of being euthanized. For more information on Hounds Town USA, Michael Gould, and Hounds Town Charities, visit http://www.houndstownusa.com/, http://www.michaelsgould.com/ and http;//www.houndstowncharities.org/. Original Keywords: Jennifer Jung and Candice Vogel, Nassau County and Queens, non-profit Hounds Town Charities, Michael S. Gould Hounds Town USA Farmingdale New York FARMINGDALE, N.Y.
REFERENCES: Business News, Jennifer Jung and Candice Vogel, Nassau County and Queens, non-profit Hounds Town Charities, Michael S. Gould Hounds Town USA Farmingdale New York FARMINGDALE, N.Y.